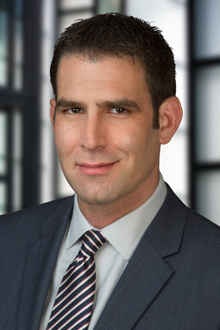 Joshua Bart is a partner in the San Francisco office of Lewis Brisbois and is a member of the Class Action & Mass Tort and Products Liability Practices. Mr. Bart earned his B.A. from Brandeis University (Philosophy), and his Juris Doctor from University of California, Hastings College of the Law. Mr. Bart has been a member of the State Bar of California since 2008. During that time, he has represented clients in a wide variety of litigation matters, including products liability, class actions, legal malpractice, trademark infringement/unfair competition, insurance bad faith, landlord liability/housing, catastrophic injury, and property damage. While attending University of California, Hastings College of the Law, Mr. Bart externed for U.S. Magistrate Judge Elizabeth D. Laporte in the Northern District of California. Mr. Bart joins Lewis Brisbois as an experienced and well regarded litigator, following many years of practice with preeminent boutique litigation firms in San Francisco. Mr. Bart is admitted to practice in all California State Courts and all U.S. District Courts in California.